This repair patient came in for a third session of plug repair. 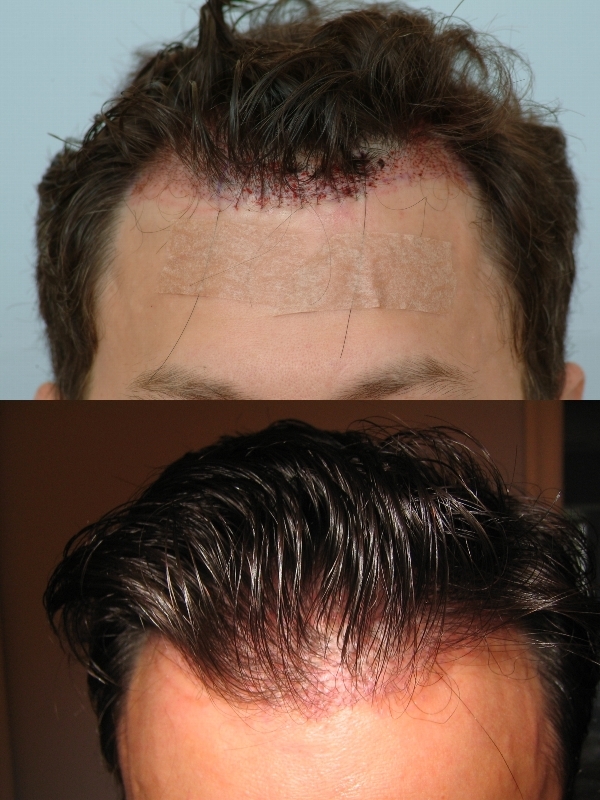 The patient had many large follicular units on the frontal hair line that equated for an unsightly appearance. Seven days ago, the patient came back to our clinic to have an additional session of plug removal completed by Dr. Cole. After 800 CIT grafts and approx. 50 plugs removed, the patient’s treatment was accomplished. 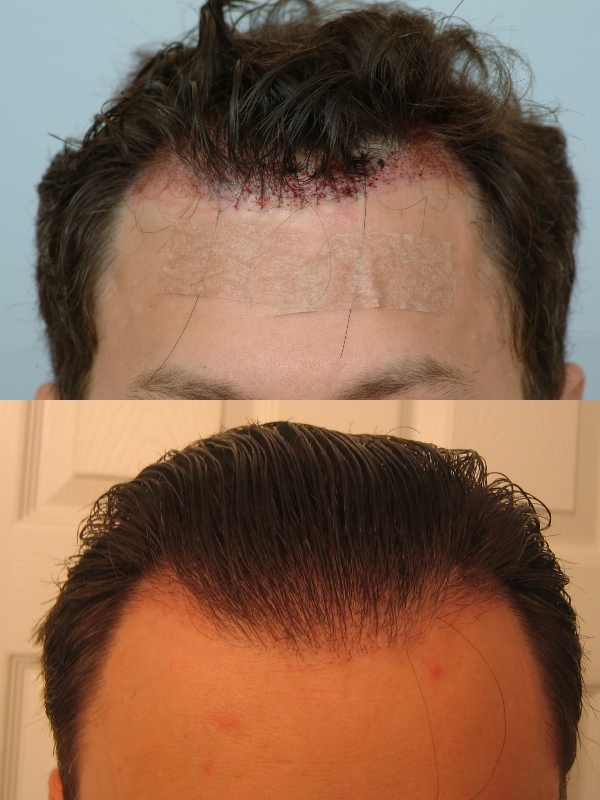 We have noted that CIT repair produces consistent results as well as impressive post-op healing. Typically, our sutures are removed after 4 to 5 days and the repaired area should become lighter in appearance after each day. The healing time varies from patient to patient, but the scalp may require a few months to a year before it fully heals (remodels). We look forward to the progress of this satisfied patient. Wow. not bad at all. How is the repair done if a guy has too many plugs transplanted and has nothing left from the original hair. Honestly, there is no definitive answer regarding the amount of repair needed to treat a patient. We usually suggest scheduling a test to ensure the patients heal well and are pleased with the outcome. Our repair is based on time so we would need to see the patient to determine the correct approach to effectively treat major repair patients.